The ‘shower’ at Camp Porto Alegre, Biological Dynamics of Forest Fragments Project, Central Brazilian Amazon. the challenges in being away from family or doing fieldwork with kids in tow. I’ll even throw in a few she left out: accusations of biopiracy, struggling with a different language and cultural norms, and the fact that it can be much, much, much, more expensive. She’s right of course – there are some real advantages to working close to home, and many of us have really great field sites nearby of which we could take advantage. After I finished her post I was seriously tempted to drop my field work in Brazil! But her essay was a good opportunity to reflect on why some of us confront the sometimes exhausting challenges that come with working in far-away field sites. I came up with a few reasons, and I’d be interested in hearing from readers about any others. 1) Family. Many of us feel compelled to work in these far-away field sites because they are where our roots – and often our families – are. I never really considered working anywhere but Latin America, and I expected I would work in México. 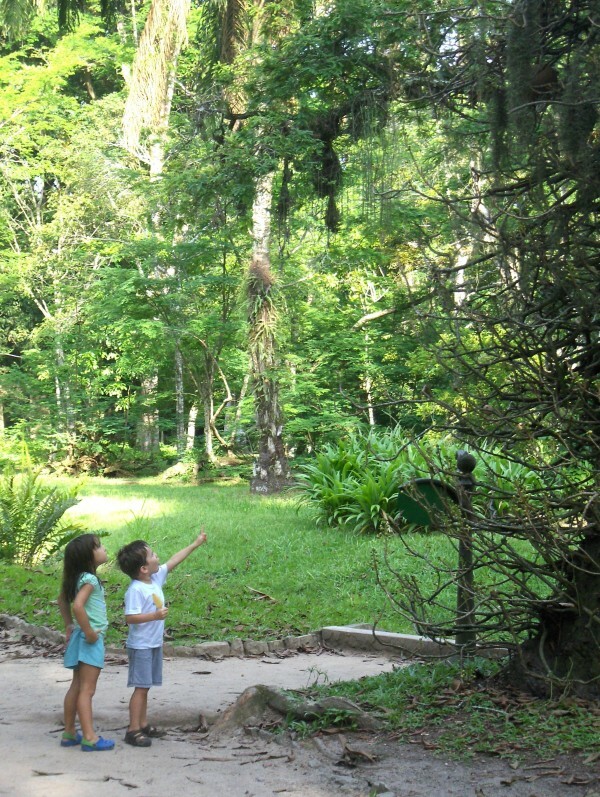 Through a twist of fate I ended up at the Forest Fragments Project in Brazil rather than Chamela or Los Tuxtlas. Now one of the main reasons I keep working there is because it’s a way to balance the demands of work and family – my wife is from Rio de Janeiro, so trips to do field work are an opportunity for our sons to visit with family, go to school in Portuguese, and for us to reconnect with some of the things we miss because we live in the US (pão de queijo, anyone?). As odd as it sounds, working in field sites 4000 miles away from Gainesville is an important part of staying connected with home. 2) A different culture and perspective. Working abroad is an opportunity to immerse oneself in a different culture and all that comes with it: food, music, sports, history, politics, art, language, literature, and more. In addition to living in Brazil, work has taken me to Costa Rica, The Cook Islands, India, and Bali, among others – amazing places all, and I consider myself very fortunate to have visited them. However, there’s another important benefit that comes with living outside one’s home country. Spending long periods of time abroad reminds one that not everybody sees the world like they do in (“insert name of your home country here”). You can learn a lot about home by leaving it. 3) They really are that cool. I used to insist on saying I was an ecologist who just happened to work in tropical systems, but I’m over that. I’m a Tropical Ecologist. OK, sleeping in a hammock for 6 years got old, and hepatitis is no fun. But let’s face it, it’s Rarotonga. The Amazon. The Serengeti. Borneo. While doing field work I’ve seen jaguars, sloths, tayras, giant anteaters, harpy eagles, vampire bats, anacondas, army ant swarms, and some spectacular plants (with Heliconia obviously at the top of the list). I swam in the Meeting of the Waters, spent spring break on a houseboat in Jaú National Park, and honeymooned in the Atlantic Forests of Itatiaia National Park. Over beers I’ll tell you about an up-close and personal encounter with a Rhea while doing field work in the Cerrado. I managed to do all of these without getting dengue, leishmaniasis, or malaria. Giant anteater, Myrmecophaga tridactyla, on a stroll through Panga Ecological Station. 4) An impact on Conservation and Development. Ecosystems everywhere are facing myriad threats, so the conservation imperative isn’t limited to those of us working far away. 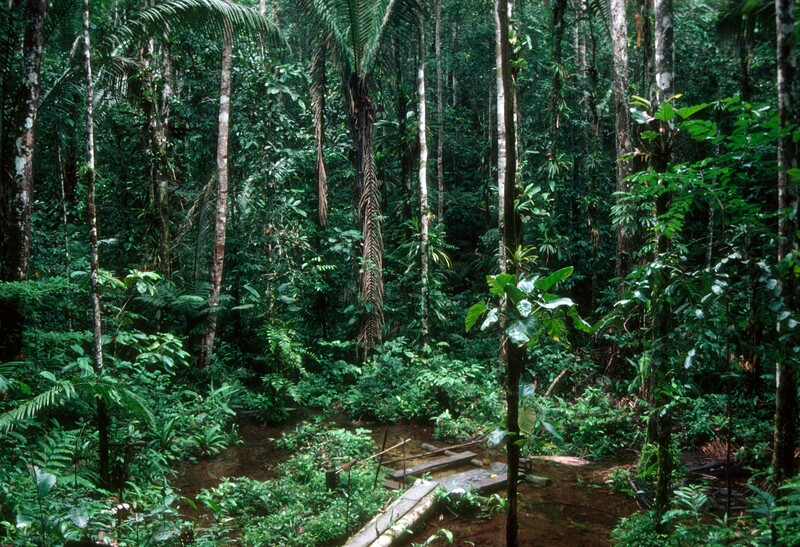 But there is a sense of urgency about understanding how deforestation, oil palm plantations, and other human activities in the tropics are affecting biodiversity, climate change, the carbon cycle, and human well-being. Working in tropical systems and with students studying them means working on the front lines. 5) An opportunity to advance science and education in developing countries. The last 15-20 years have seen a boom in science in some developing countries, but in many there is still an urgent need for capacity-building related to (and developing alternative models for) research, education, and natural resource / protected area management. Working collaboratively with local scientists, incorporating local students in our research teams, teaching classes at our host institutions, and training local conservation professionals can have large and tangible benefits that may (or probably will) outweigh our contributions to the literature. True collaboration and knowledge exchange are hard work, and it is often challenging to balance these activities with the other demands on our time, but I have found them to be among the most personally rewarding aspects of my job. True international collaboration is good for your science too , and I count myself among those who feel that they learn much more from exceptional collaborators and their students than they do from me. 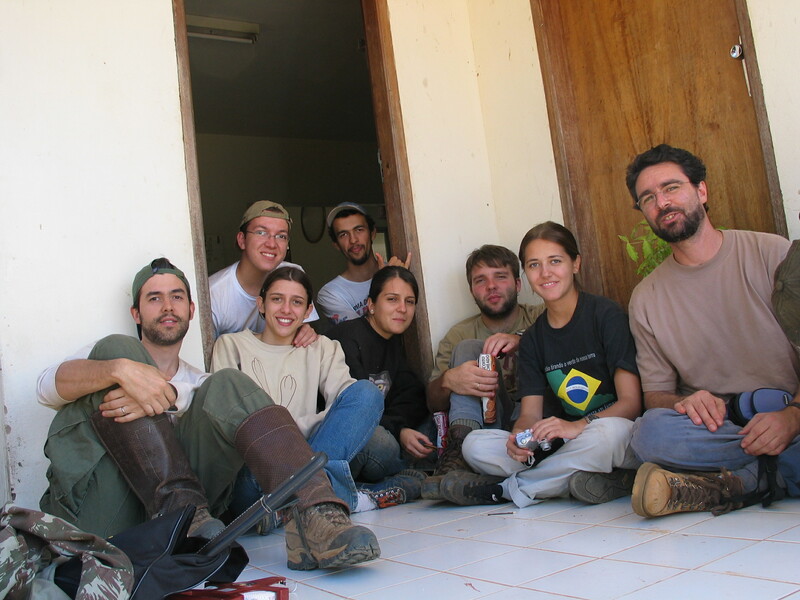 Emilio (far L), Heraldo (far Right), and Team Panga after a long day of Field work in Brazil’s Cerrado (ca. 2004). Do these and other upsides of working abroad make up for the considerable benefits of working in (not so boring) local field sites? There’s definitely been a cost, in terms of the type of projects I can do, my productivity, and some peace-of-mind, but in the end I wouldn’t have it any other way. What about you? Great points. Another thing – I wouldn’t stop collecting data if my field sites were nearby. I have plenty of data, the problem is getting it out! Working away from home means there’s an end date for data collection and a start date for analysis. Another great reason to work far from home…to learn about invasives, you need to go to the source. The beauty is that there is nothing to stop one from doing both! Having a “local” program allows you to more easily plug in undergrads and perhaps do work on the cheap if funding gets tight for international projects. Of course, neither of us was (is) either / or about it. It was really a reflection on why we bother to go through the effort, when there are so many great spots nearby were work is easier. If one can pull off working in both, that’s the way to go. PS Great to hear from you! I hope all is going well, and I hope you submit some work to us soon!